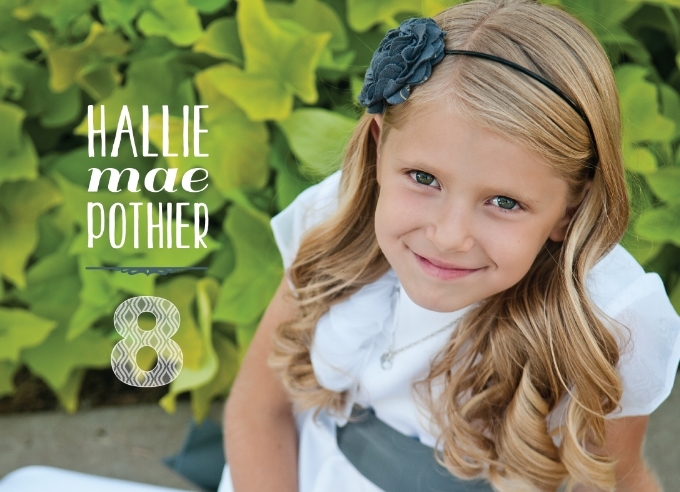 I enjoy designing pieces for clients, but I absolutely love designing pieces for myself and my family. Sometimes I want to throw a party just so I can design correlating pieces. Then my kind, loving and logical husband steps in and reminds me that is a crazy thought process and cancels every imaginary party I start to plan! 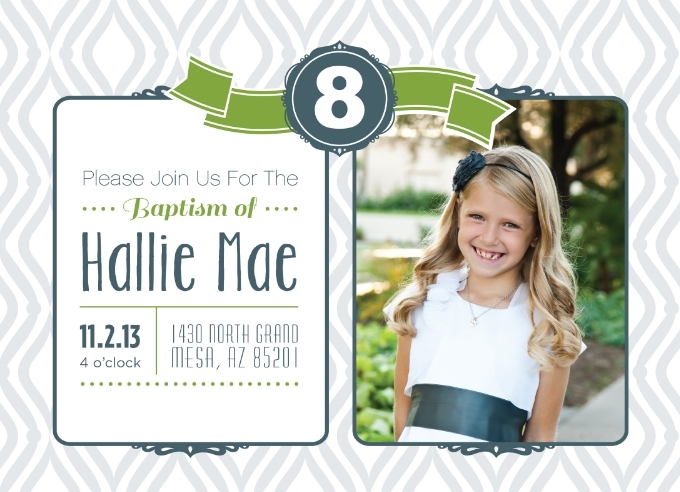 Luckily for this invite, I didn’t have to come up with an imaginary party – Hallie turned 8 and she was getting baptized and we invited friends and family to be with us on her special day. We were elated to see this in the mail! Thank you for thinking of us! We sure wish we could have joined you! What a cute invite. You have some really neat talents! 1 Which camera do you use to take those amazing photos? Did you attend to a photography course or diy? 2 Which software do you use to make those beautiful graphic art work? I have the Adobe pack here but still not so familiar with it. I'm using Apple Pages recently, but had a long story with Corel Draw. 3 Did you attend a design course? If so, which one? Thanks!